Click "download" to listen (mobile device) or to download (personal computer). Click on the message title and that will take you to a Blue Letter Bible page with corresponding Bible book and the chapter. Closing of this book of prophecy. Jesus is coming! New/holy Jerusalem, this great city whose builder is God in this new creation. Why is this significant? New heavens, new earth and new Jerusalem! End of Millennial reign of Christ, when devil is released one last time and Great White Throne judgment. Satan is bound during 1000 year reign of Christ on earth. Blessings of the first resurrection! Second Coming of Christ with heavenly army! Praise in heaven that keeps rising for upcoming marriage and marriage feast of the Lamb and the bride! Babylon, its influence, deception, corruption and ultimate destruction. 7 bowl judgments are 7 last judgments. We see why this is great chapter. Preview of Armageddon; song of praise by Tribulation saints and last 7 plagues. 144 000 and the Lamb. 3 angels declaring important messages to the inhabitants of the earth. Two beasts, one coming form the sea and other coming from the earth. Who are they? Continued look at the conflict between the woman and the dragon. First two signs; woman and the dragon. We also encounter a male Child. The 2 witnesses, their belonging, calling, purpose and effectiveness. Praise in Heaven. Mighty angel, John and the little book. 7th seal, prayers of the saints, 4 trumpets and introduction to coming woes! 144 000 Jewish evangelists & great multitude that gets saved in Great Tribulation. Good news in between 7 seals. Worship in Heaven. Worthy is the Lamb, the Lion of Judah, the Root of David to receive glory and honour and power and praise! Scene in Heaven, the One on the throne, 24 elders and 4 living creatures. Overview of the messages to the 7 churches. And a reminder that God is not done with us. Church in Laodicea. This was a lukewarm church, without passion for Jesus. Church in Philadelphia. This was a faithful church and Jesus had only good things to say to them. Church in Sardis. This church was spiritually dead. Jesus didn't have anything good to say about them. Church in Thyatira. This was a church that had many good things but lacked obedience to the Word. Church in Pergamum. This was a compromising church that needed repentance. Church in Smyrna. This was a persecuted church that was faithful to Jesus. Church in Ephesus. Church that had everything going for it, except one most important thing. Jesus in His heavenly glory, and why is that important to us. 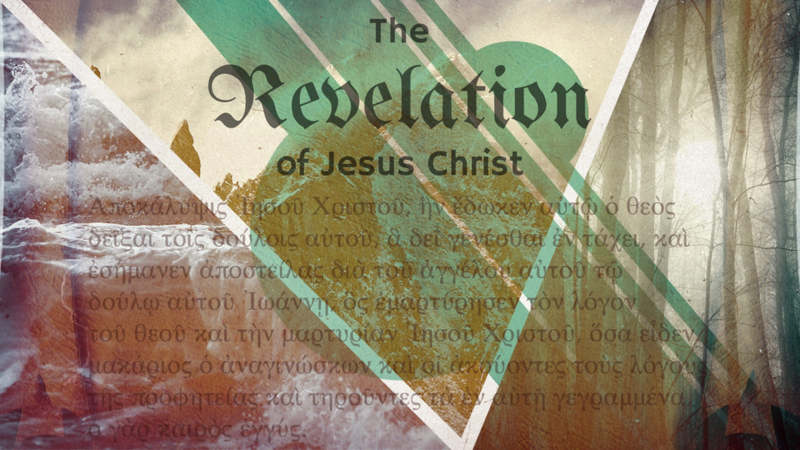 Revelation of Jesus, who He is, what He has done for us and who we are in Him. Introduction to the book of Revelation and the special blessing that comes with this book. Looking for an older message, or one from a different book? Scroll in the Media tab to access each book directly.